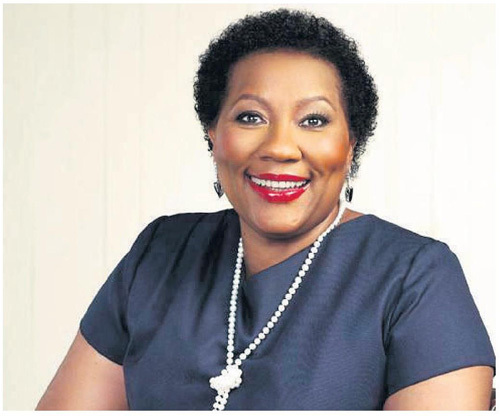 WELLKNOWN business mogul and philanthropist, Dr Anna Mokgokong, has encouraged business women in key positions to open doors for other women. She emphasised strongly that through such efforts women will become activists that bring change. Mokgokong was addressing a packed auditorium at a women's seminar held by the Empowerment Ministries International Church at the Protea Hotel in Bloemfontein, recently. "Only a few of us have made it in.comparison to our male counterparts, so it is critical that even though we are only a few, we should open doors for other women," said Mokgokong. Mokgokong said women have made strides in the academic field, but men are still dominating key positions. She has urged aspiring entrepreneurs to acquire knowledge and seek mentors in the business sector to help achieve their goal. Mokgokong told Express her passion for developing other women and helping them in new industries was backed by diligence and making sure her brand was always associated with quality outputs. The entrepreneurial bug bit while she was still in school where she sold sandwiches for pocket money. A medical doctor by profession, Mokgokong set off in 1995 to start what has become one of South Africa's biggest business success stories. As a medical student, she went on to start a retail business selling leather handbags to fellow students, lecturers, teachers and nurses. As a businesswoman who has received international acclaim for her entrepreneurial ability coowner of Community Investment Holdings (and South Africa's Business Woman of the Year in 1999) Mokgokong kickstart ed her career after establishing a private practice in 1992, which she grew from scratch to a patient base of more than 40 000 people as a.community doctor, serving eight villages. Her business empire now spans healthcare, technology, logistics, mining and energy. Mokgokong is also the chairperson of Jasco Electronics Holdings and executive chairperson of Afrocentric Investment Corporation and Air Liquide Healthcare. Last year Mokgokong was honoured with the Lifetime Achievement Award at the 2014'15 South African Premier Business Awards. The founding pastor of Empowerment Ministries International, Motsamai Kareli, said women should tap into the season of empowerment and unleash their potential. Kareli encouraged women to infiltrate the macroeconomic sector to establish new industries.